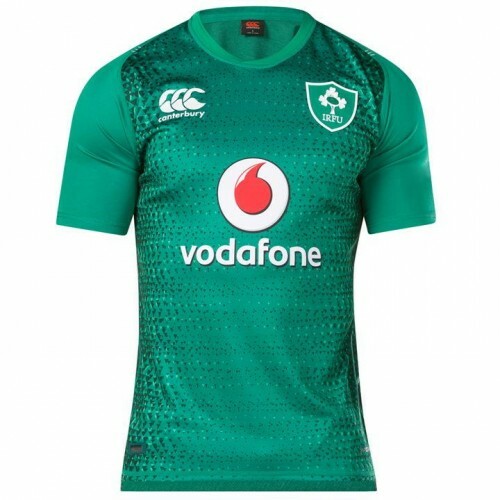 This Canterbury Ireland Home Pro Rugby Shirt 2018 2019 has been developed with Vapodri+ technology which means that the fabric is quick drying, breathable, moisture wicking and also boosts the evaporation of sweat. The shirt has a contemporary tailored fit for a slimline cut, whilst the iconic team crest allows you to show your admiration for the Irish rugby team. 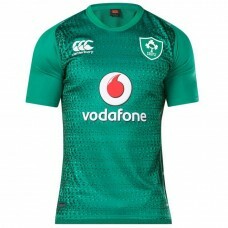 This Canterbury Ireland Home Pro Rugby Shirt 2018 2019 has been developed with Vapodri+ technology w..